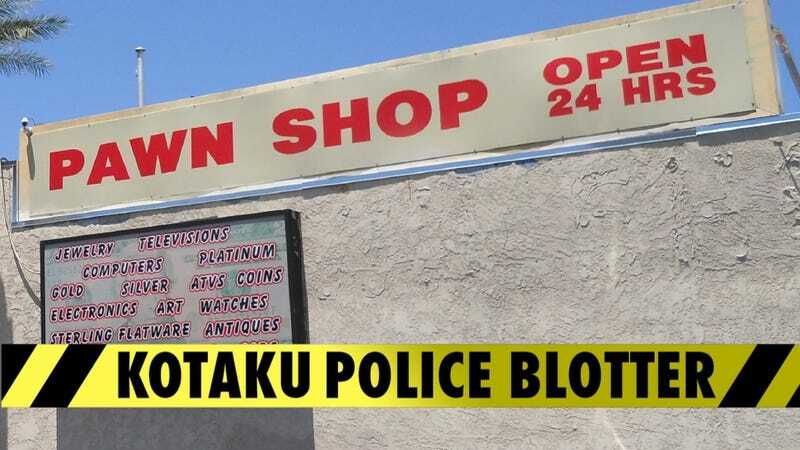 A 19-year-old Nampan (that's the demonym for Nampa, Idaho) is in the slammer after police there say they caught him cutting through the roof of a pawn shop and making off with an Xbox he had pawned. More concerning, perhaps, was the AR-15 rifle cops say Olin Vickers had in his possession. That thing is commonly described as the civilian equivalent of the M-16 assault rifle, though it's semi-automatic. Vickers did not pawn the firearm, reported the Idaho Statesman, but everything else in his possession was something he or his family had pawned. According to KTVB-TV, that included his Xbox (specific model, naturally, unidentified; we'll guess it was a 360), plus a camera his family had pawned. Vickers "literally cut a hole in the roof," said the pawn shop's owner, but set off a silent alarm when he went Mission Impossible into a back storage room. The police caught Vickers on the roof as he was lowering his bag of booty down the side of the building. Vickers is charged with burglary, vandalism and possession of burglary tools. The store suffered "thousands of dollars" in water damage because of the hole in the roof.